Samsung offers a line of energy-saving washing machines for the American market. According to its web site, the front-loading washing machines offer excellent durability, ease of use and innovative technology. Sort your laundry, use only high-efficiency detergent and choose the correct cycle for the best results. Sort laundry by color and fabric type. Remove everything from the pockets, and zip up any zippers. Add the sorted laundry to the washing machine, making sure not to overfill. Close the door, and press the "Power" button. Open the detergent compartment on the top front of the machine. Add detergent to the compartment according to the directions on the package. Add bleach for whites and fabric softener, if desired. Turn the "Cycle Selector" knob to the correct description of your laundry load. A light will illuminate next to the cycle of your choice. You may also choose the settings individually using the buttons on the control panel. 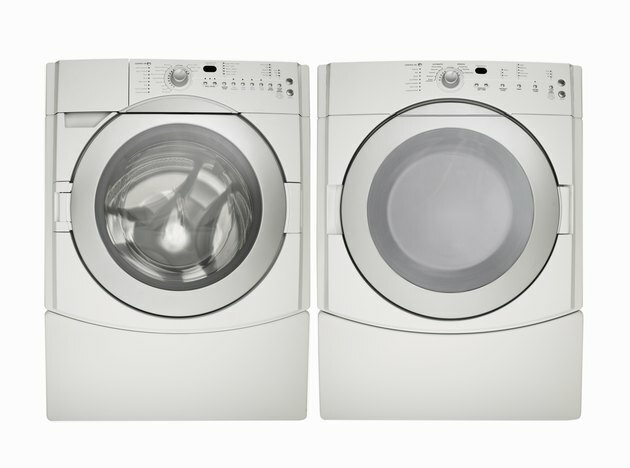 These buttons control the temperature, rinse, spin and length of each cycle. Press "Start/Pause" to start the wash, and a light will turn on to indicate the washer is in use. A buzzer will sound, and the light will turn off when the cycle is finished.